Earn 10090 loyalty points when you order this item. 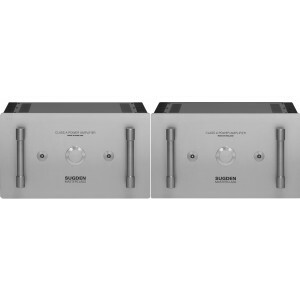 Sugden Masterclass MPA-4 is a balanced Mono Power Amplifier supplied in a pair. With spacious headroom, MPA-4 mono power amplifiers deal effortlessly with heavy and complex music, allowing the low-level detail to be heard clearly and accurately. Boasting a fully balanced circuit design, it can be the engine room of a fully balanced hi-fi system. The popularity of the Masterclass series has resulted in over seventeen years of continuous production. Offering an excellent price/performance ratio it is easy to see why it remains so successful.